Helloo! Here's part one of my July reading roundup. I read 9 books in July so I'm splitting the reviews up into chunks. I read three lovely middle grade/ children's books, which was such a nice, cosy, comforting thing to do. 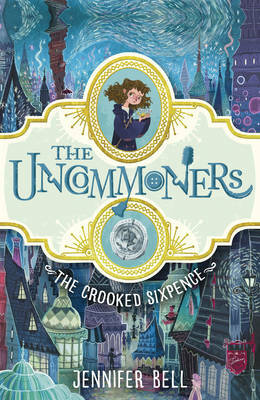 The Lives of Christopher Chant by Diana Wynne Jones, The Uncommoners: The Crooked Sixpenec by Jennifer Bell, and Rooftoppers by Katherine Rundell. 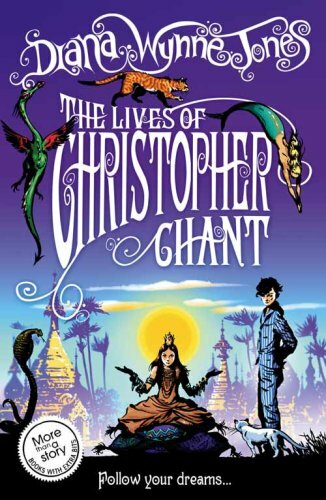 This wonderful prequel is set years before Charmed Life and follows Christopher Chant's childhood before his adult role of Chrestomanci begins. Christopher has the ability to travel between worlds, which he does at night in his sleep, unbeknownst to his parents visiting wonderful vivid lands. Upon his Uncle Ralph's discovery of this power, Christopher is sent to these lands to bring back magical objects and artefacts. These dangerous trips lead to several disastrous injuries and it isn't long before Christopher's nine lives are discovered. Now destined to be the next Chrestomanci (for whom having nine lives is very important), and down several of those lives already, Christopher is sent off to Chrestomanci Castle to receive his magical education, much to his dismay as he has ambitions of being a cricket player. If you've read Charmed Life, you'll see a lot of Cat in Christopher as he gets used to the grim loneliness and strange magic of the castle. The goddess he meets in one of the worlds is a brilliant character, as is the cat Throgmorton. Full of Diana Wynne Jones' wonderful world building, charming details, and the perfect grumpy little boy voice. Definitely read this, Charmed Life and Howl's Moving Castle. I'll be getting myself a copy of every other Diana Wynne Jones book asap! After their grandma Sylvie has a fall and is rushed to hospital, Ivy Sparrow and her big brother end up travelling through a suit case to a land beneath London, where everyday objects like colanders and belts have very Uncommon special usages in a very magical way. Their grandmother's past is intertwined with this underworld, but unfortunately that past is a big mystery as Sylvie lost her memory in a car crash years ago in 1969. They have to figure out how their grandmother is linked to this uncommon world in order to ensure the safety of their family. The world building is vivid and wonderful creating one of my favourite alternate Londons. Ivy is a great lead character too. It really reminded me of Heap House by Edward Carey, with its uncommon objects, and had much of the charm of Diana Wynne Jones about it too! This is a beautiful book. As a baby, Sophie is found floating in the sea in a cello case after a shipwreck in the English Channel, by a man named Charles. He raises her, but her place with him is threatened by the childcare authorities, who believe no young lady should be raised by a man alone. Sophie believes her mother was in that boat and has vivid memories of her playing the cello. She strongly believes her mother is still alive. So Charles and Sophie run away following a clue in her cello case to a Parisian music shop. With a fondness for high places, Sophie learns all about the city from its rooftops and along with some new rooftop dwelling friends, goes in search for clues to the possible whereabouts of her mother. 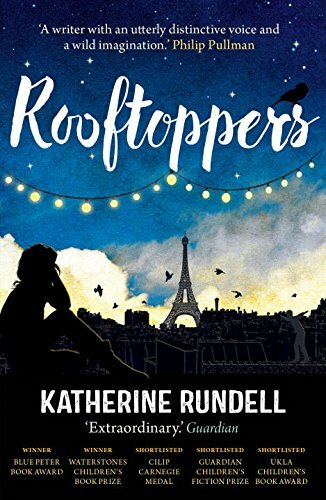 It's a really magical-lovely-spellbinding-wonderful rooftop world, with a heartwarming and impossibly exciting story. It made me feel all warm and fuzzy inside. That's it for part 1 of my July reading round up. Part 2 coming soon, featuring Passenger, Uprooted, On the Other Side and Ctlr, Alt; Delete!